FOR INFORMATION ONLY, YOU ORDER THESE ON ADIDAS WEBSITE THEN CONTACT US FOR PRODUCTION. 1. Create your own mi Team account (see also "My Account"). 2. 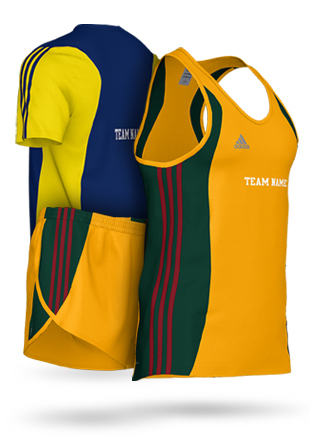 Customize your team uniform (see also "Configure Your Product"). 3. Finalize your order by entering the details; sizes, quantities, team roster etc (see also ”Finalize and Purchase your mi Team order” section). 4. Assign your order request to one of our mi Team Retailers (VS Athletics) and contact the retailer to purchase your mi Team uniform (see also “Finalize and Purchase your mi Team order” section). After you have purchased your mi Team uniform your order will go into production within the next day and be shipped to you (or the Retailer) within 3 - 6 weeks. 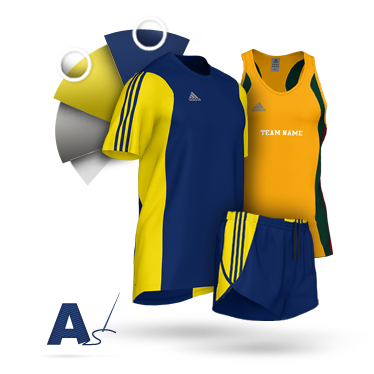 Head to Adidas miTeam Running to get started!